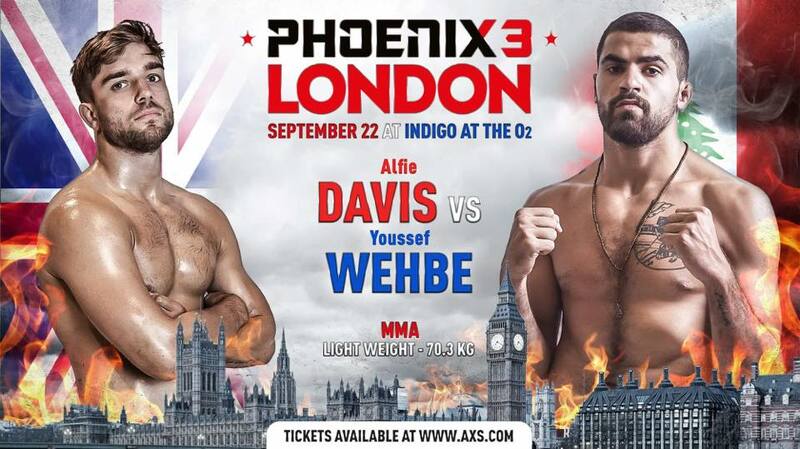 With less than two weeks before his biggest professional fight to date, Youssef Wehbe seems more determined than ever to seize the moment at Phoenix 3 London. “The Silverback”, one of the top ranked lightweight fighters in the Middle East, will put his professional record of 6 wins and 3 losses on the line on September 22nd when he fights at Phoenix 3. Having started his career with a decision loss in a close fight at the 2014 Al Batal reality TV show, Wehbe was determined to make it as a professional mixed martial arts fighter. Even though he had a bumpy start, he was able to grab his first professional win in 2015. He then went on to fight in promotions such as Full Metal Dojo, Kunlun FC and EFC, and eventually making a successful run at Desert Force, becoming the lightweight champion. He then fought at Battlefield Fighting Championship where he faced the Brazilian mixed martial arts veteran Jorge Patino (who holds a record of 38 wins and 19 losses) at welterweight. The fight was surrounded by a lot of controversy as the referee stopped the fight to an armlock which Wehbe did not tap too and was eventually ruled as a no contest. “I watched his previous fights. I think he is a point fighter who is well rounded. Who wouldn’t be happy being on the Phoenix Fighting Championship card? The promotion is proving over and over that it puts together high level and entertaining fight cards. 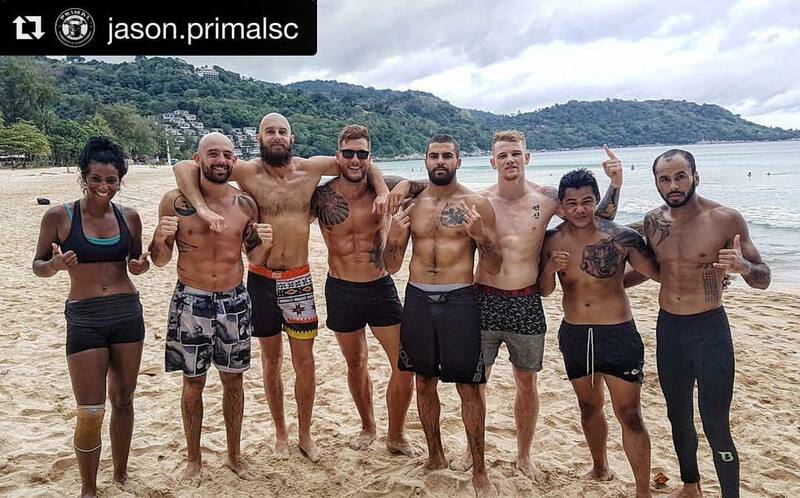 Regarding his training, Wehbe is known to train in Thailand in preparation for his fights, so it was a little bit strange to see him move to Bali, yet explains that he had a good reason to do so. “Bali has been great for me. It helped me grow a lot as a fighters and person. I think you’re going to see a different Youssef Wehbe this fight. There was no big reason for the move. The guys at Bali MMA are my old coaches at Phucket Top Team and I wanted to work with them (Don Carlos and Leone brothers). I still consider Phucket Top Team my home. I started my career over there and if it was not for them, I wouldn’t be here”. Wehbe will be taking on Alfie Davis in his hometown. Having the court advantage is always a plus but Wehbe believes its his time. ”It’s as important as any other fight. I’m looking forward to go in and represent. It’s simply my time”. Wehbe continued to explain his new-found focus and motivation, commenting about his last fight that was surrounded by controversy and eventually resulting in a no-conest. He continued to share what he’s planning to do next in preparation for his fight. “I think the best thing that I did after the Jorge Patino fight was that I took some time off to work on stuff and change up a couple of things in my game. I’m really in the best shape of my life right now. I had a long camp in Bali and Lebanon. Now, I’m off to Jordan to end my camp with coach Ashraf Shishani. I had to come to Lebanon because I need a visa. It’s difficult having a Lebanese passport, but I put a lot of good work in with my team, Tiger Lebanese with coach Hassan Berjawi and Mohammad Fakhreddine”. Surely, the young Lebanese fighter is looking to represent his home country of Lebanon and the entire Middle East, but he will most definitely be facing a tough challenge as he will be taking on an opponent who is 8-1 on his own home soil. The sky is the limit for Youssef “The Sliverback” Wehbe. He is still young, determined and we wish him the best in his next battle. “Phoenix 3: UK Vs The World” takes place on September 22 in Indigo at the O2, London, UK. Check out the official Muay Thai and MMA cards for the event on this link.